The company’s new chip is the first in the world to handle four HDMI ports simultaneously using only one chunk of memory. 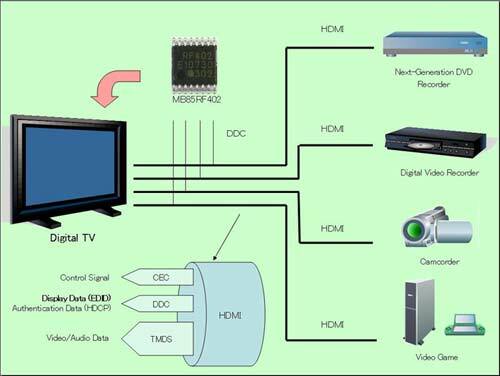 Although the technical details are a little obscure, the end result will be TV sets that can accommodate more HDMI-connected devices at lower cost. Current HDMI ports each require their own dedicated memory, which makes their manufacture more expensive than Fujitsu’s package. Naturally, keeping the cost of HDMI- ready TV sets down leaves a little over to buy more game consoles, Blu-ray recorders and the like, so everybody wins in the end, eh?